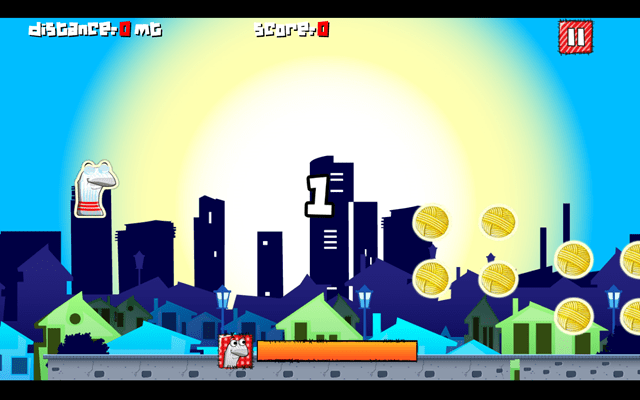 Sock Runner, a Windows 8 Game app is a free game about fun with a sock. Well, this game for Windows 8 has been picked out from the ‘Games’ section from the Windows 8 Store. This is an adventure game for Windows 8 that is played by you and a sock. Well, that might be a figure of speech, but you are actually going to play with your sock here where you have to jump and jump as high as you can. This is a very simple Windows 8 game with the longest distance covered record. All you have to do is just run, nah! !…actually you have to jump. A sock will lead you here and you have to use your mouse button to let the sock jump as far as it can. Push your mouse button to let it jump as high as it could reach. This is how the interface of this Windows 8 game app looks like. Make the sock jump so that it won’t fall off from the roof. And, the aim of this game app for Windows 8 is to cover the longest distance and achieve highest score by collecting the wool yarn hanging up in the air. 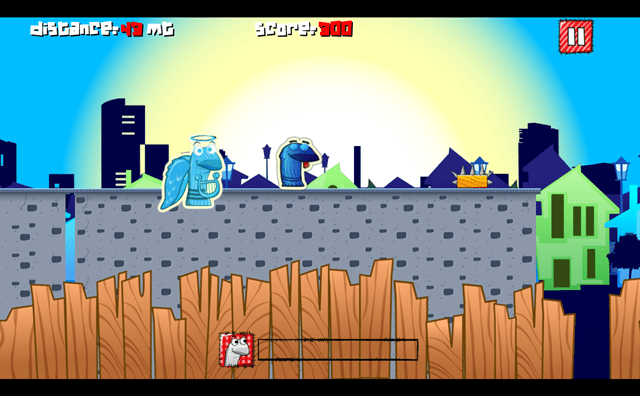 There are a number of hurdles that you come across while playing the game. But, that’s the challenge. You need to dodge those hurdles so that you don’t get hurt and can cross through those hurdles successfully. Also, there are upgrades that you need to achieve that will help you to achieve the longest distance. Go ahead and install this Windows 8 game app and play this simple game with no further rules. Just hop on and cover a longest distance. So, have fun playing this Windows 8 Game.